Cue Sheet: The cue can be printed from the RWGPS route link below. Parking: If driving to the start, ONLY park in the front lots! See map below. Consider riding to the the start if you’re local. 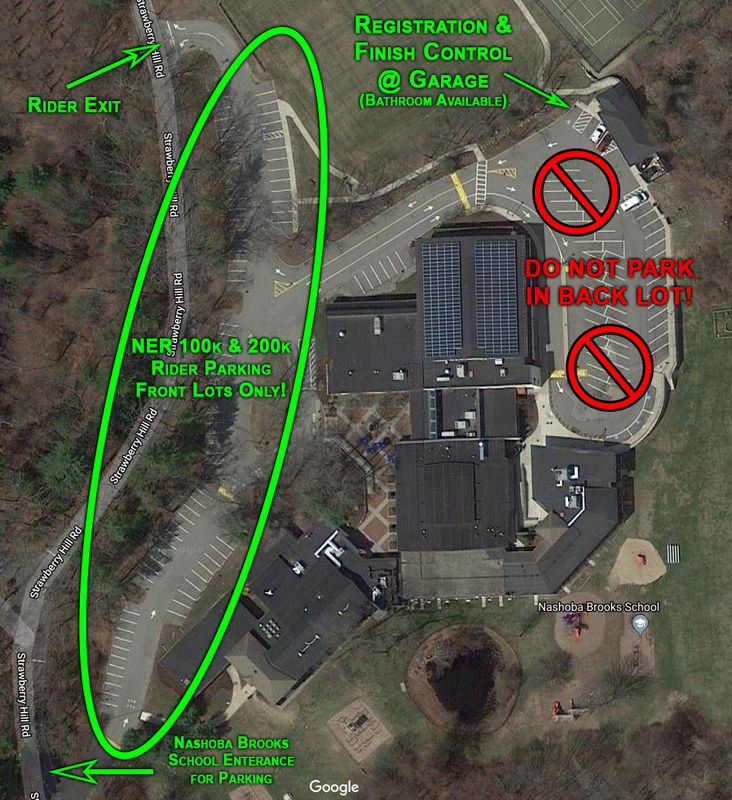 NBS Parking Map. Click to enlarge. In 2019 we’re using the same route as last year. 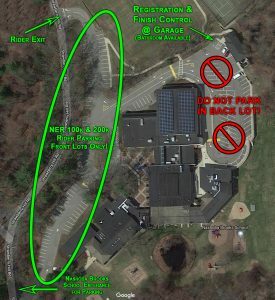 The start location is now the parking lot of Nashoba Brooks School in Concord, MA. (Thank you NBS and John M. for getting us access.) 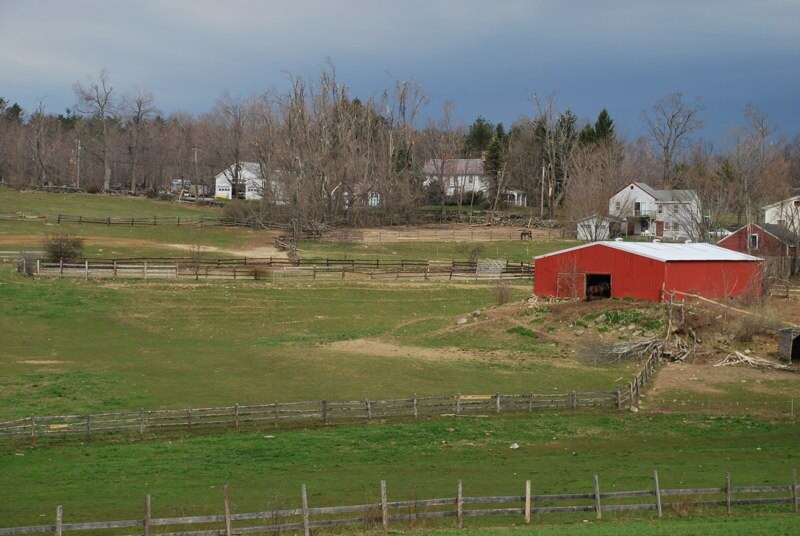 The route has a few short, steep climbs and mostly very low traffic rural roads. 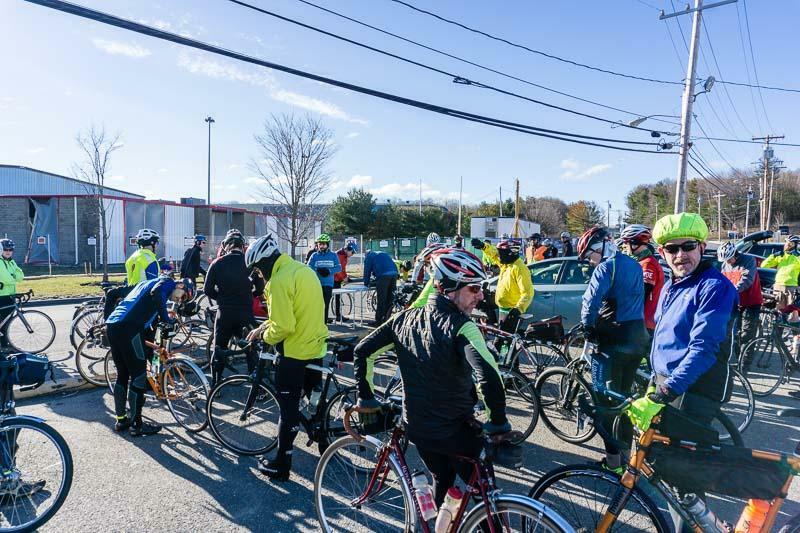 Riders will travel exactly 100k, a few miles shorter than when the ride started at Hanscom Field. Riders have 6 hours, 40 minutes to finish. As is tradition, in Sterling we’ll have snacks and hot chocolate if it’s cold. Thanks to Melinda, Elizabeth, and the other volunteers. 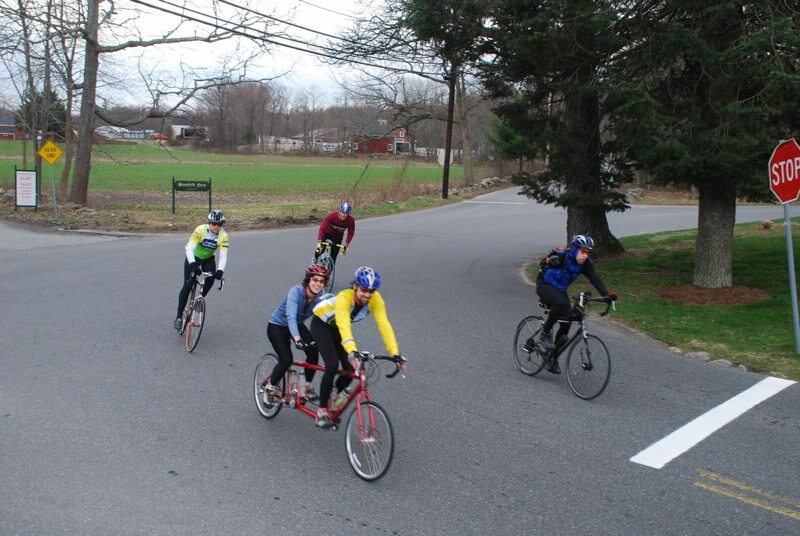 This ride typically gets a sizable number of riders so the volunteers stay busy. New for 2019 – A current year NER Membership is required. Riders can purchase a NER Membership if they have not already. This 100k is a RUSA Populaire — a RUSA brevet shorter than 200k. If you’re considering riding additional brevets, the this ride will give you a feel of what’s to come. The route travels though the scenic western suburbs on a surprisingly hilly route. The ride isn’t arrowed so it’s a good chance to brush up on your cue sheet reading skills. 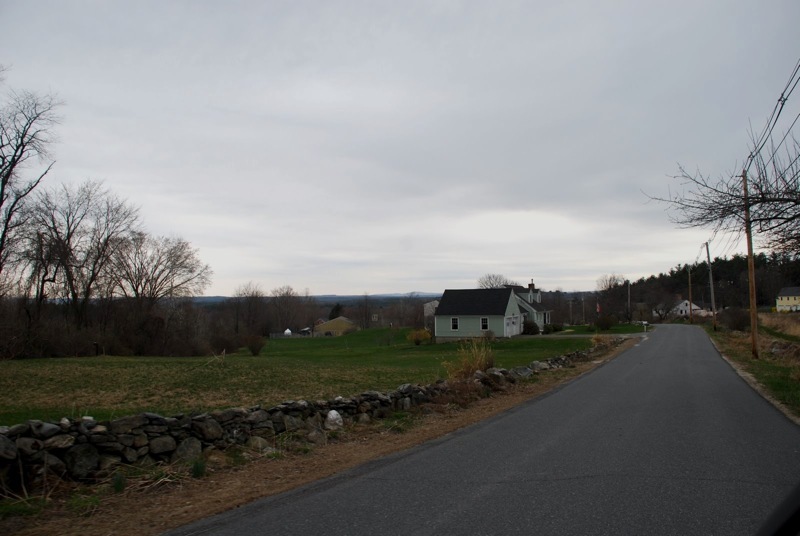 Shortly after the control is Cumby’s ice cream and further down the road is the Harvard General Store if you’re looking for a break. 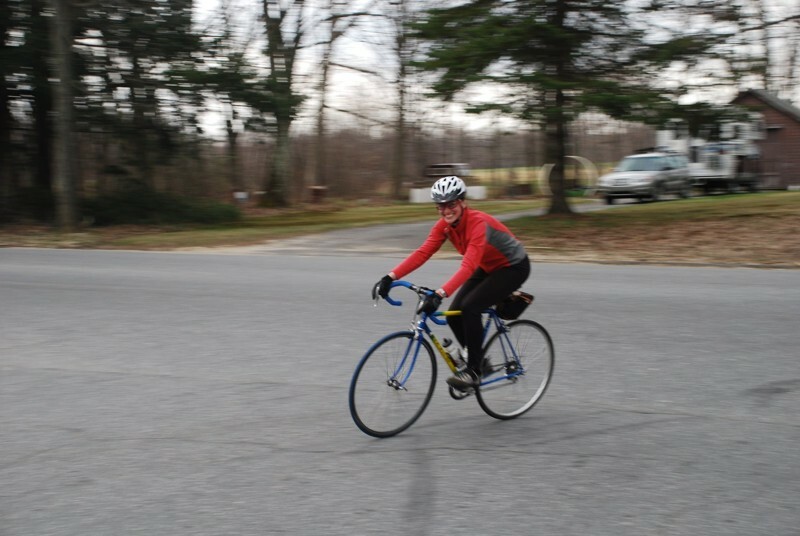 Cold start in Hanscom but a nice day for a ride nevertheless. Photo by Amitoj Sukhija. 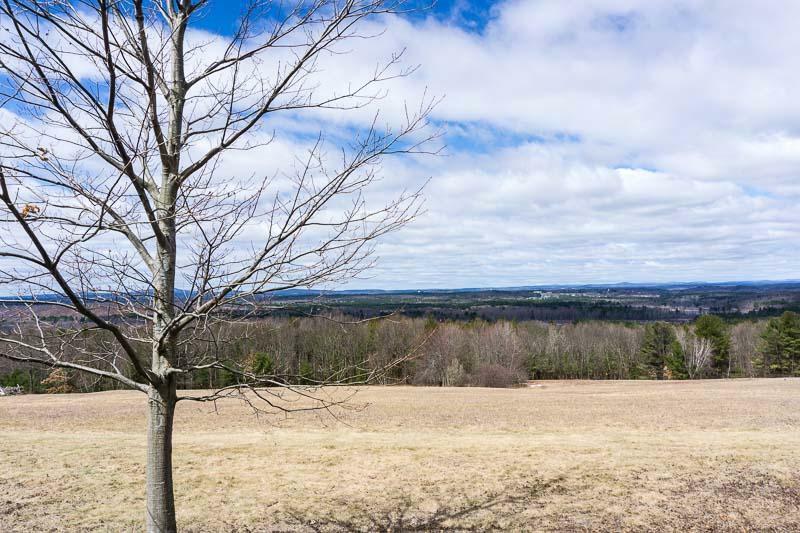 Scenic early spring peak. Photo by Amitoj Sukhija. Spectacle Hill Road on April 7th, 2017. 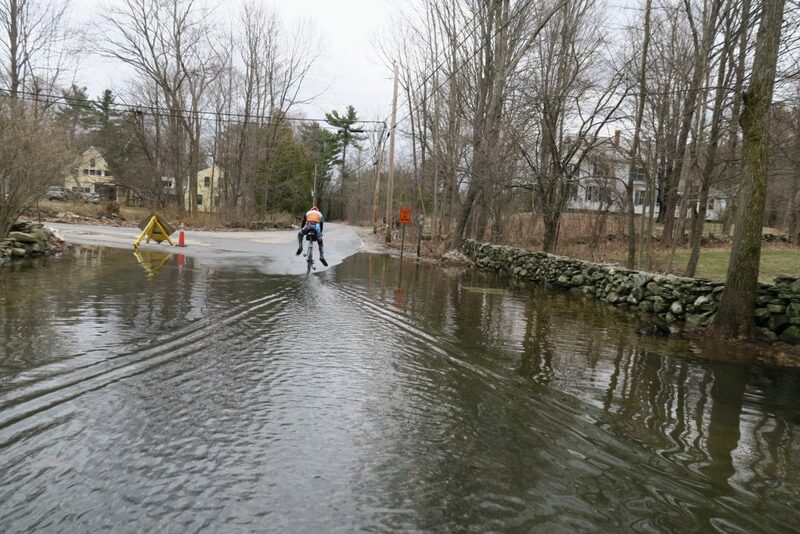 (Water was about 1″ deep for the ride.) Photo by Matt Roy.